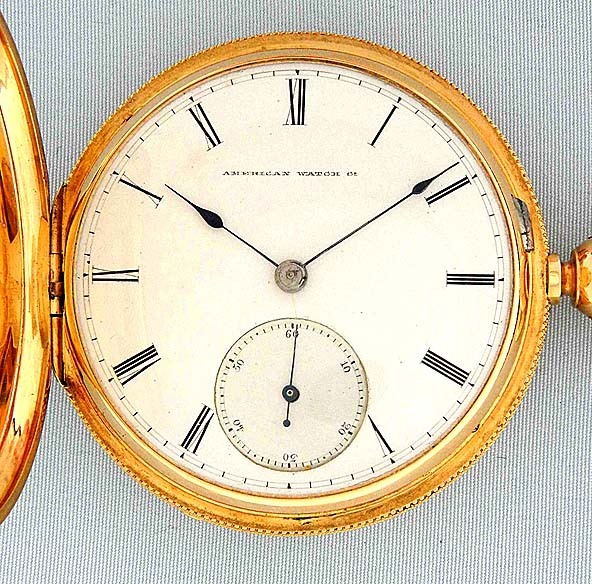 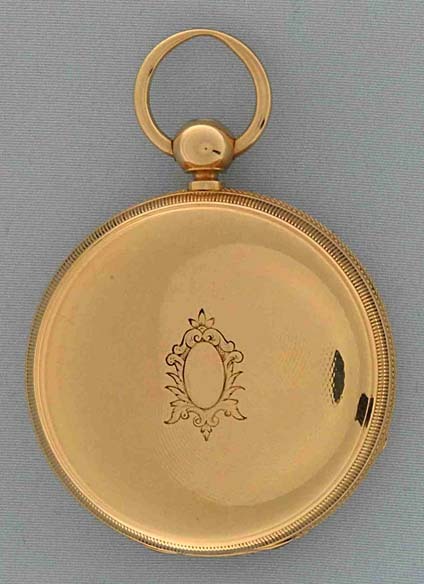 Fine and rare 18K gold Waltham 16/S antique pocket watch with vibrating hairspring circa 1864 Fine gilt 15 jewel 3/4 plate movement with screwed jewel settings. 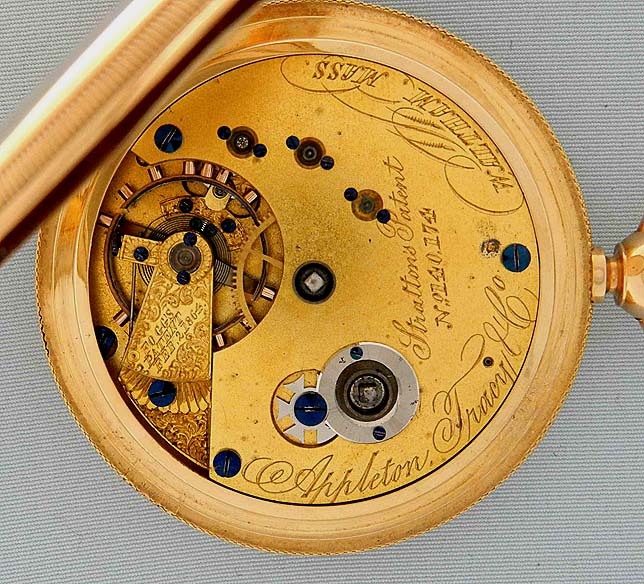 The hairspring is pinned to a pivoted arm that moves back and forth as the balance moves. 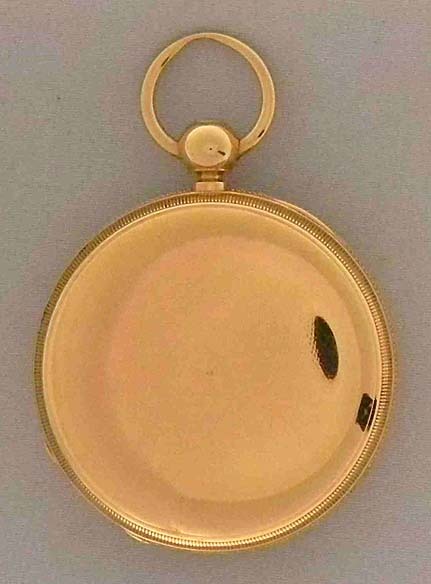 White enamel dial (light hairline) with blued steel hands. 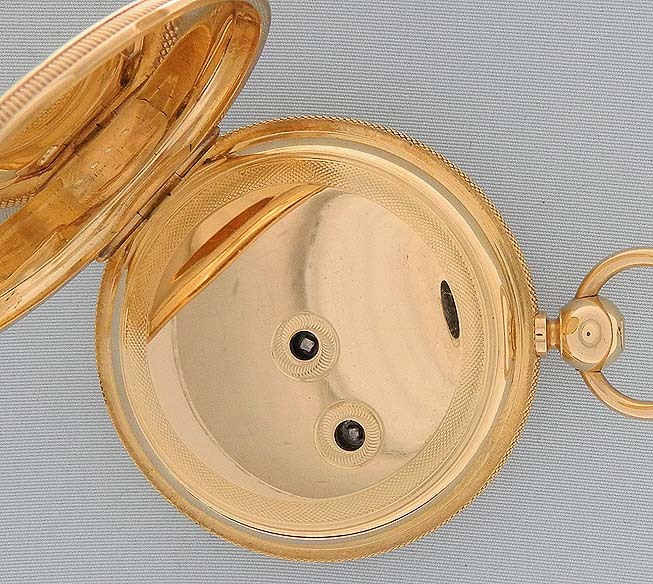 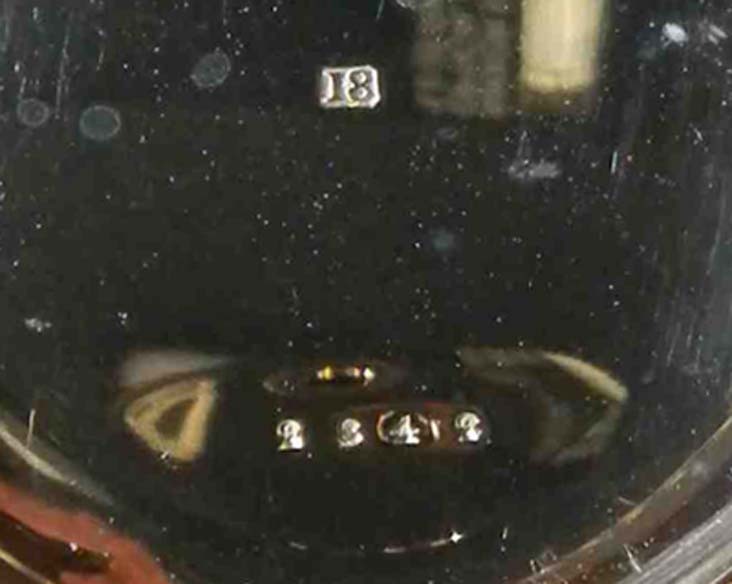 Heavy 18K case with traces of engine turning and hobnail band.